Social Send is a project which brings Cryptocurrency to Social Media and potentially a broader audience. By allowing anyone to send crypto through social media channels, such as Twitter, Facebook and others, Social Send is working to bring more adoption. And it’s all on the blockchain. Social Send also has a token, SEND, fueling their blockchain. Today Utrum OOT is being listed on Social Send’s newly released platform! We are excited to have our little currency on yet another trading platform and one that aims at the masses. Utrum is building a trusted platform for cryptocurrency investors and newbies, so it’s fitting that OOT would be available on platforms such as Social Send, mitigating adoption, ease of use, and helping new users of crypto have a simple way to send and receive OOT socially. We are excited that Social Send has chosen our project to add to their growing list of coins! 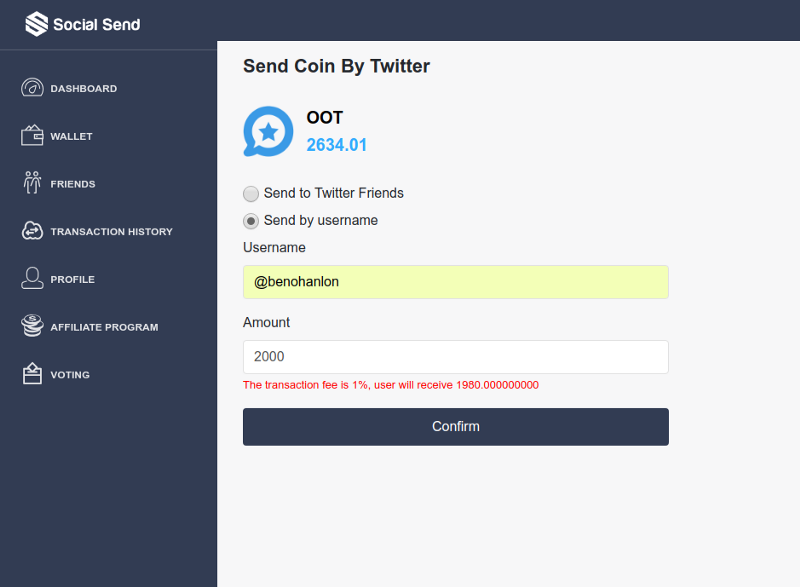 If you have not already, check them out at https://socialsend.net where you can create your free account and begin using their blockchain service with OOT or any number of coins. Today OOT is listed on five exchanges and five portfolio listing apps/sites…with Social Send being yet another listing of OOT. As we work hard on Utrum Platform Alpha and the Official Utrum wallet, we are humbled by the supportive community and services adopting our coin. If you’d like to learn more about Utrum and what we are building for the cryptocurrency community, please visit our website and join the conversation on our Discord Server. Utrum OOT Token Available in Crypto Pro App!